An indictment is a legal term (derived from the medieval 13th-century French word "enditer") relating to a true bill being issued, based on evidence presented by witnesses, before the District Attorney can prosecute a felony criminal charges. The indictment procedure came to America by way of English common law, and it relates to allegations of a crime or criminal charges of a serious nature. The right to be indicted for felonies is embodied as part of the 5th Amendment of the Constitution of the United States. It’s also a legal right in North Carolina criminal court. "No person shall be held to answer for a capital, or otherwise infamous crime, unless on a presentment or indictment of a Grand Jury, except in cases arising in the land or naval forces, or in the Militia when in actual service in time of War or public danger"…..
For Grand Jury Proceedings, What Does "Jury" Mean? The key element in all cases was that the JURY decided guilt (in criminal cases) or a financial recovery for civil cases, like in "Philadelphia," or "A Civil Action." The Grand Jury, however, has no such duties and the bill of indictment meaning is far different. The idea of Reasonable Doubt and Burdens of Proof in NC for criminal charges do NOT apply to Gran Jury proceedings. Both in the English common law countries and in the US Constitution, the indictment procedure of assembling a Grand Jury is NOT a trial, and the Grand Jurors have no power to determine "guilt" or award damages. Plus, both in England and in North Carolina criminal charges, grand jury proceedings in issuing felony indictments are done in secret, and almost always without a criminal defense attorney being allowed to be present on behalf of the accused. How Important is Good Legal Advice for Criminal Charges? 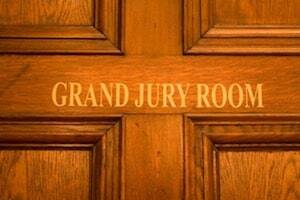 When you add the word "grand," the answer to "what does jury mean" dramatically changes. Plus, for an English criminal court in 1650, versus an American felony crimes court in 2018, "what is an indictment?" has taken on a substantially different meaning, with different consequences. How and Why Did the Indictment Procedure Begin? Beginning with the Magna Carta in 1215 A.D, the English people (over the next several centuries) routinely sought to create a "brake" on the unlimited power of the Crown (meaning the King of England or Queen of England). 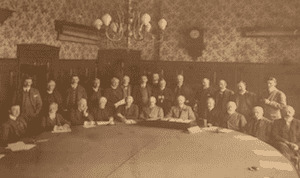 One of those buffers or impediments against the Monarch's absolute power was to mandate that (before any trial could take place at a trial court) that a large group of the county's citizens had to agree with the Government about the sufficiency of evidence of criminal acts before a trial could be utilized by the Government, to try to gain a conviction, such as a drug indictment or child molestation charge. A NC Grand Jury Indictment: What is a True Bill of Indictment? Following this theme of secrecy, the legal document submitted at the end of the grand jury hearing or "presentment" containing the sealed indictment is required to show how many of the grand jurors were present, plus the names of the grand jurors, on all indictments. If the District Attorney is seeking an indictment, a sufficient number of the grand jurors must agree that the criminal case should go forward, after they are convinced that probable cause to believe the alleged crime occurred is reliably presented to them. A criminal defense lawyer looks at multiple layers of compliance for any NC indictment against his or her client for criminal charges. Plus, keeping up with and carefully checking this data is vital, because these grand jury members cannot both indict, and later be on the trial jury, for any person that was considered for indictment during their term of court, as grand jurors. Members of the Grand Jury do not answer the ultimate question: “Guilty” or “Not Guilty.” Members of a Grand Jury in North Carolina do not sit as the “finder of fact” or decide punishments for felony or misdemeanor charges. Indicted Meaning: What Significance Comes from a Grand Jury Indictment? This "large" group of local citizens composing this sizable jury of county citizens took on the name "grand," since the purpose was to have MANY from the community agree (or not agree), to get a consensus from the community. When the grand jury "indicted" by a sufficient number of citizens signing a legal document, this is called "returning a true bill." How Do Defense Lawyers Help? Only when the true bill was agreed upon by a sufficient number of grand jurors did the criminal case move on to authorize the District Attorney's office to issue a formal accusation (indictment), in writing, against the accused person, who could face capital punishment (execution) or possibly life imprisonment. Modern-day state and federal grand jury indictment practice covers other felonies that have punishment less onerous than life in prison or execution. So, over the centuries, the "indicted" meaning has changed. As applied to a federal crime, the applicability of use of an indictment are different than in many of the States. THE GRAND JURY: What Does Indictment Mean? Undoubtedly, anyone who has watched one of the weekly crime dramas on TV has heard of references to the "Grand Jury" and obtaining an Indictment. But this time-honored and unfamiliar step in the criminal justice system could be unknown to the general public, because the Grand Jury does not decide guilt or innocence of anyone. That duty of selecting jurors to decide guilt or innocence at a jury trial is exclusively the job of a trial court, which in North Carolina is the Superior Court. A Grand Jury Indictment – Secret Proceedings: What does it mean to be indicted? Grand juries meet and "vote" in secrecy. While the DA of the County brings in arresting officers and a few other people as witnesses, and possibly some other evidence is presented to establish "probable cause," the accused citizen (nor his or her favorable witnesses) does not get to be heard at a Grand Jury proceeding, unless (in a rare case) the District Attorney allows it. So, the secrecy and the lack of finality of grand jury proceedings lack the adversarial drama of trial court proceedings. The Grand Jury hears evidence of serious felony charges that most TV dramas love, so why is it relegated to mere reference? The most likely reason is that the Grand Jury investigation is a largely procedural tool and not a forum for determining to ultimately return a verdict of guilt or innocence. Indeed, the Grand Jury meets in private and is subject to strict rules of confidentiality. Understanding the function and definition of indictment may best explain why so little attention is given to this secret process. North Carolina General Statute 15A-621 defines the Grand Jury as "a body of persons consisting of not less than 12 nor more than 18 persons, impaneled by a superior court and constituting a part of such court." This definition does little to explain what exactly the Grand Jury is or does. A more practical understanding is that the Grand Jury is a body of citizens instructed by the Court to investigate the sufficiency of criminal complaint, and basically say to the District Attorney, "do not prosecute"(a "NO bill') or to go forward with felony charges (a "TRUE bill") in the NC Superior Court for that County. North Carolina General Statutes are somewhat strict regarding who may be present during the Grand Jury proceedings. That is due, in part, to the fact that all information discussed during the proceedings is strictly confidential. In fact, subsection (g) of the aforementioned statute authorizes a judge to hold in contempt anyone who discloses, other than to his attorney, matters occurring before the Grand Jury. This is a vast departure from the open access trial courts enjoy, other than in Juvenile proceedings. The Grand Jury tests the sufficiency of evidence offered by law enforcement, prosecutors, and witnesses against the Defendant. The Grand Jury is not charged with the duty to find the Defendant guilty or not guilty of the alleged who committed a crime. Instead, the Grand Jury members merely determine whether sufficient evidence exists for the District Attorney to charge (indict) the Defendant at all. Only with a "true bill," is it appropriate to proceed forward on felony charges in a Superior Court in NC. Unlike trial courts, where a judge decides whether evidence will be admitted to the trial jury and what rules of evidence may apply (there are regularly disputes on the admissibility of evidence in court), there are no rules of evidence applicable to grand jury proceedings. Therefore, the prosecutors may use evidence that would not typically be allowed in trial such as hearsay. Unfettered access to evidence, admissible at trial or not, greatly increases the likelihood the Grand Jury will find a sufficient basis to proceed with the charges. It has oft been said, a Grand Jury could indict a Ham Sandwich, implying the standard is so low and without legal merit so as to seriously question the fact of whether the process is of any value. Just thinking about a legal matter can be stressful, especially a felony that has received a "true bill." The anxiety of not knowing what to do or who to talk to can exact a heavy toll on your family and business life. Rather than carry the burden alone, our Charlotte criminal defense attorneys encourage you to seek legal counsel by offering FREE legal advice at your first lawyer consultation. Call our law office NOW at 704-342-4357. Our criminal defense lawyers will not JUDGE you, and our defense attorneys will explain your legal rights, and answer questions about how to approach an indictment in North Carolina. At Powers Law Firm PA, a Charlotte criminal lawyer from our law office can provide real-world experience, plus resourceful, targeted, and professional legal advice. In some cases that are indicted, after a true bill leads to a grand jury indictment, our criminal defense attorneys will ask for a preliminary hearing for our incarcerated client. Multiple purposes can exist for making this request, such as challenging the legal sufficiency of the indicted charges, getting some early "discovery," or educating the Judge on the sketchy case facts, in preparation for seeking a bond reduction. One such hearing may be related to criminal defense lawyers in North Carolina filing a Bill of Particulars, which seeks the specifics or greater details associated with the criminal allegations or indictment. Each criminal charge in North Carolina is different, just like each person accused of criminal charges is different. It therefore makes sense to talk to an experienced defense lawyer to begin planning your individual defense strategy, which will be unique to your case and your charges. With a lot of effort and groundwork, our criminal law attorneys regularly seek to use the plea bargain process to find a better solution to the more serious charges, by negotiating for a reduced plea. When you're going through a difficult time in your life, you need a criminal lawyer who can protect your interests, and who has the court experience to give you the legal insight to make good decisions about the pending NC felony case. 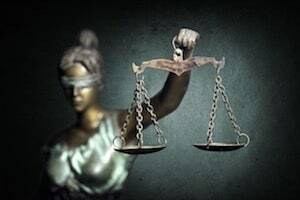 Attorneys who have substantial experience handling jury trials regarding serious felony charges understand things like the likelihood of conviction, the potential for success or failure at a jury trial, and the necessity of plea bargaining in certain criminal charges in North Carolina. Detailed information and attorney preparation are important tools in any legal representation. For felonies, the legal process can be particularly confusing, with the involvement of a grand jury indictment. That is why it is vitally important to know your options. The North Carolina Supreme Court recently ruled on whether a True Bill of Indictment is required, answering what does it mean to be indicted. In overruling a NC Court of Appeals opinion, an indictment is NOT required for criminal charges relating only to misdemeanor criminal charges in North Carolina, like NC DWI charges and other traffic tickets. Consult with experienced legal counsel without delay. If you have questions, criminal lawyers at Powers Law Firm PA will have answers. Our law firm is here to help you. Don't delay in protecting your legal rights. Bill Powers is a NBTA Board Certified Criminal Law Specialist and Criminal Defense Lawyer Charlotte NC, who helps people with legal matters throughout the state of North Carolina. Mr. Powers also provides legal representation for allegations of criminal charges in Monroe NC in Union County, North Carolina as well as in Statesville NC in Iredell County, North Carolina.